Krause Manufacturing offers efficient and very effective Waste to Energy Equipment to the recycling industry for the Front-End separation of materials. We make sure that the Front-End equipment efficiently separates out valuable recyclables and leaves the right type of waste stream to continue through the Waste-to-Energy system, no matter what type of engineered fuel system it is, we will work with you to maximize your ROI. 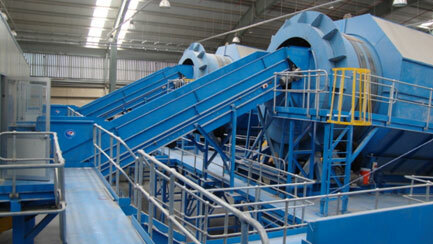 Krause Manufacturing can provide this Front-End processing equipment that can be a part of your Waste-to-Energy system. CP’s front end separation equipment will prepare material for your waste to energy system while complimenting your other goals, such as materials recovery or extracting organics.